MANTRA: Now go set the world on fire. From the fabulous Mantra collection, this 925 Sterling Silver disc is inscribed a dainty graduation cap motif and hangs on a 16inch chain. 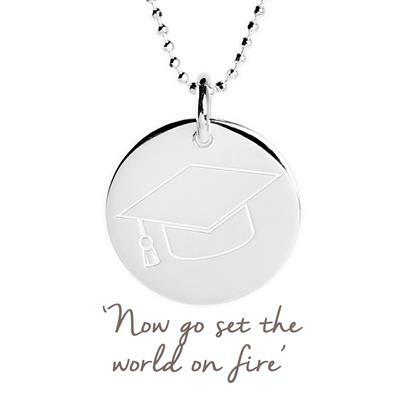 Wear this Mantra to celebrate the time-honoured passage of graduation, and to feel inspired by your own sense of achievement to "set the world on fire".